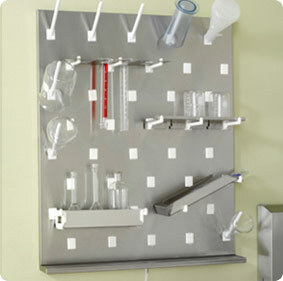 Inter Dyne Systems offers a variety of peg options to customize your workstation. With 5 peg options, a peg extender and a hole cover, any workstation can store all you need at your fingertips. Inter Dyne Systems also offers their 6 inch tube peg in 10 colors. These can be purchased individually.